Texas school districts facing pressure to have all children meet high academic standards are paying long-overdue attention to improving school leadership to advance instruction and drive needed changes throughout schools. IDEA Public Schools is leading the way in recruiting and mentoring excellent principals as a catalyst to success for its schools and students. With a mission of College For All Children, IDEA is making an impact in communities throughout Texas, and for 10 years has sent 100 percent of its seniors to college. IDEA, a growing network of tuition-free Pre-K-12 public charter schools, serves nearly 30,000 students in 51 schools across three regions. By 2022, IDEA will grow to 100,000 college-bound students in 173 schools nationwide. The path to expansion and real change starts with IDEA’s principals who, more than anyone else, help ensure exceptional teaching and learning in every classroom. 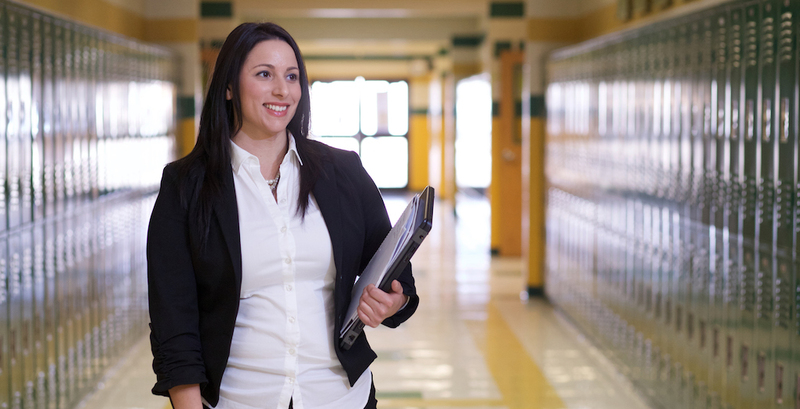 IDEA believes an outstanding principal can solve most of the problems and challenges that occur, and outstanding leaders are magnets for other remarkable people — namely teachers. IDEA puts significant energy and resources into its leadership development program, the Principal in Residence (PIR) program, where a rising principal spends a minimum of one year training before earning the chance to lead a school. The PIR program is an essential step toward becoming an IDEA principal, and is designed to prepare residents to run an IDEA school within two to three years. IDEA expertly matches residents with mentor principals and residency campuses to ensure that each participant is placed in a school where they have the most opportunity to grow and develop. During their residency years, participants develop and complete individualized learning plans, set monthly targets to master necessary competencies, participate in ongoing evaluations with leadership coaches and receive intensive mentoring from their principals at their residency sites. Principals in Residence are core members of the leadership team at their schools and assume significant, on-campus management responsibilities. These future principals learn IDEA’s culture, curriculum and the leadership skills necessary to run schools of their own. The decision to promote a Principal in Residence to school principal is primarily based on each PIR’s progress on his or her development plans, taking IDEA’s current needs into account. IDEA Public Schools invests in potential leaders from all backgrounds and experience who want to blaze a trail in education. Varied perspectives help IDEA stay innovative and continuously improve. All candidates of IDEA’s PIR program are committed to providing high-quality education for low-income children, an understanding of learning standards and data-driven techniques, proven results in attaining outstanding student achievement, excellent instruction and team management experience and skills to make decisions in constantly changing situations. Since joining Teach For America in 2010 as a corps member in San Antonio, William Chermak has been a relentless advocate for students and a standout educator. Recognized for his efforts as a teacher leader by San Antonio ISD from 2010-2013, William also successfully coached incoming Teach For America corps members during the Summer Institute of 2013. Since joining the team at IDEA South Flores College Prep, he has demonstrated the ability to coach and lead teachers to tremendous results. An IDEA Principal In Residence fellowship is a full-time, competitive-salaried position with full health benefits and relocation and education stipends for those moving to new IDEA regions. The PIR role begins in the summer, and new leader training at IDEA typically takes place in mid-July, subject to change based on network plans. To learn more about IDEA’s innovative PIR program and apply to become a school leader who changes the educational landscape for thousands of children in low-income communities, visit our website.